Rivers State Governor, Nyesom Wike has called on the Minister of Transportation, Chibuike Rotimi Amaechi to join hands with him to develop the state. 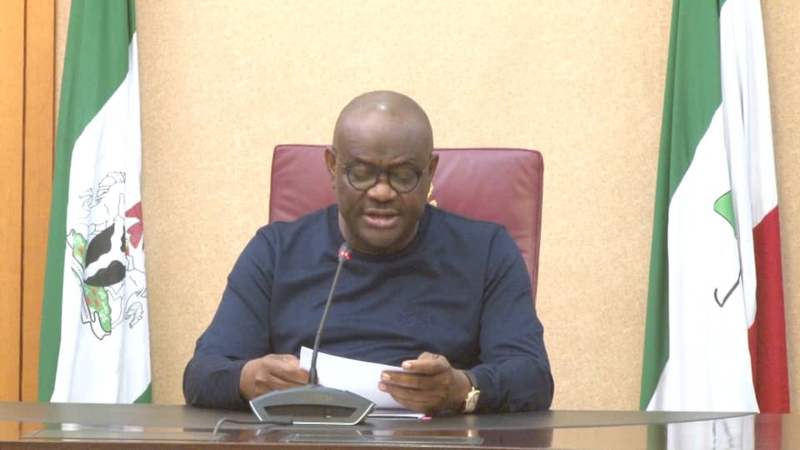 In a state broadcast to mark the landmark Supreme Court Judgment striking out the appeals by Rivers APC on Thursday, Wike said that Rivers State stands to benefit more if all leaders are United. He pledged to run an inclusive Government aimed at promoting the developing the state. “Today, I recommit myself to be the Governor for all the people of Rivers State for the next four years. Accordingly, we shall form an all-inclusive government to advance the collective interest of all our people, irrespective of party, ethnic or religious affiliations. “We have come a long way in the last four years and accomplished a lot to be proud of. But there’s still a lot more to do to advance and realize the ultimate vision of our founding fathers for a truly united, secure, and prosperous State and we need the support of all our people to realise this bold vision. Wike expressed gratitude to God for the Supreme Court judgment. He assured Rivers people that with the judgment all legal tussles have come to a close with the people having nothing to fear. ” Few hours ago, the Supreme Court of Nigeria struck out the consolidated appeals of the All Progressives Congress (APC) and Tonye Cole for lacking in merits. “I wish to assure you that there is nothing else to fear or be worried about, as there is nothing more the APC or any other person can do to deny us the victory you freely gave to the PDP and its candidates”. “Let me also express my deepest gratitude to the people of Rivers State for the opportunity to serve you as your Governor for another four years. I am truly humbled by your continued trust and, I will not take this support for granted. “For me, the collective interest of the people of Rivers State is the reason I am in politics. When you gave me the mandate about four years ago, I committed myself to be the Governor for all the people of Rivers State and stayed through to that commitment,” he said.